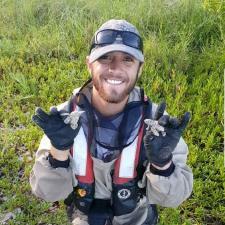 I am a water quality technician working for the University of Miami in Biscayne National Park. I moved to South Florida from Texas where I was a substitute teacher and lacrosse coach. When I first moved to South Florida, I lived in Everglades National Park down in Flamingo. I enjoy working outdoors and helping evaluate human impacts on the environment. By choosing me as a tutor for Biology, Chemistry, Statistics, or geology, you are getting both a teacher with classroom experience and a professional that has uses these skills in the field. I am choosing to tutor because I want to get back to teaching on the side. During college I tutored to make extra money and help sharpen my own skills on various subjects. One of my students in college was a veteran that was looking to get his degree in computer science. To do this he needed to take a college level statistics course and I was able to help him go from having not taken a math class in years to getting an A on both the final exam and class overall. I enjoy teaching because I get satisfaction from seeing my students succeed. Please feel free to contact me on here with any questions about me or my teaching style and to set up a lesson! Austin hasn’t set a schedule.